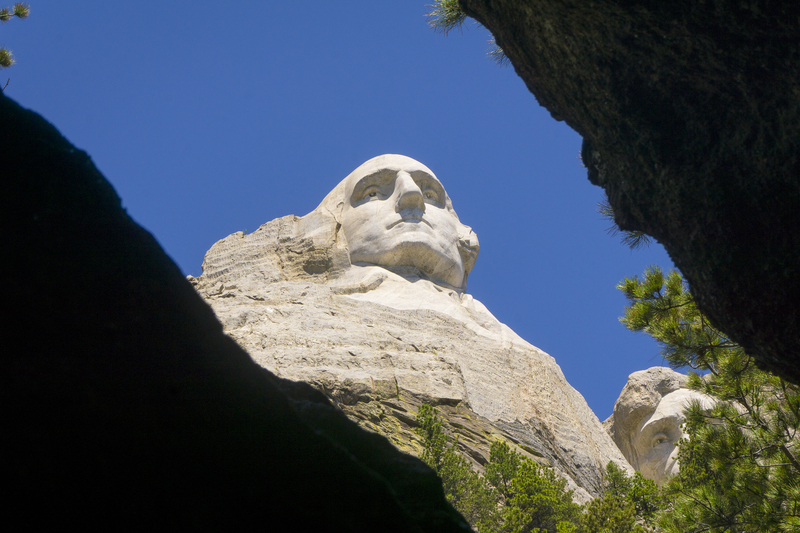 No visit to South Dakota is complete without a stop to see Mount Rushmore National Memorial. This view is a bit different than that which is usually shown, captured from a narrow viewpoint between boulders near the base of the memorial. It’s touted as a “secret” spot although on this day there was a short waiting line to step in to get the view. Unique just the same. After parking and leaving what is a formidable commercial parking garage we arrived through the main entryway seen here. 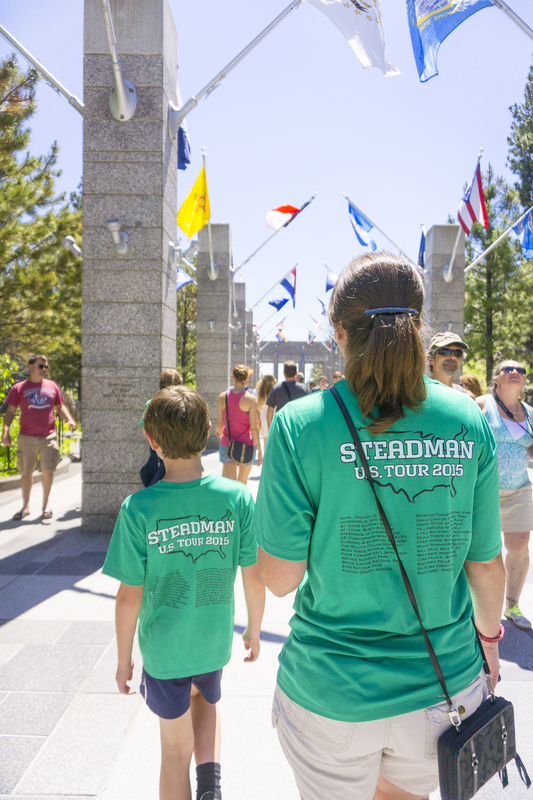 With the memorial in the background you’re welcomed by a walkway lined with stone pillars adorned with the flags of the fifty US states. Below each flag, carved into the pillars, was each respective states name and the year in which it joined the union. It offered a majestic feel as you worked your way closer to the memorial ahead. I have to say the memorial is impressive although tempered slightly having been to Crazy Horse Memorial just a few days earlier. In comparison the Rushmore carving is notably smaller in scale. 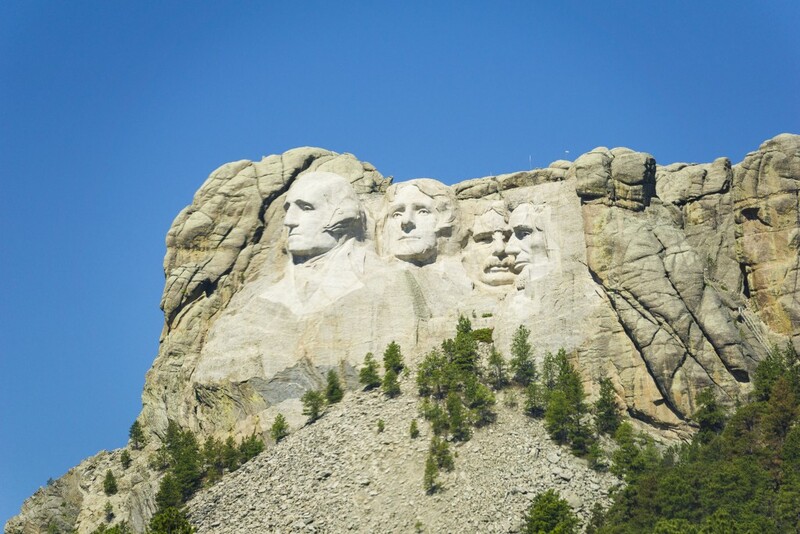 Someone compared the two by saying at Rushmore they carved the mountaintop while at Crazy Horse they’re carving the entire mountain. 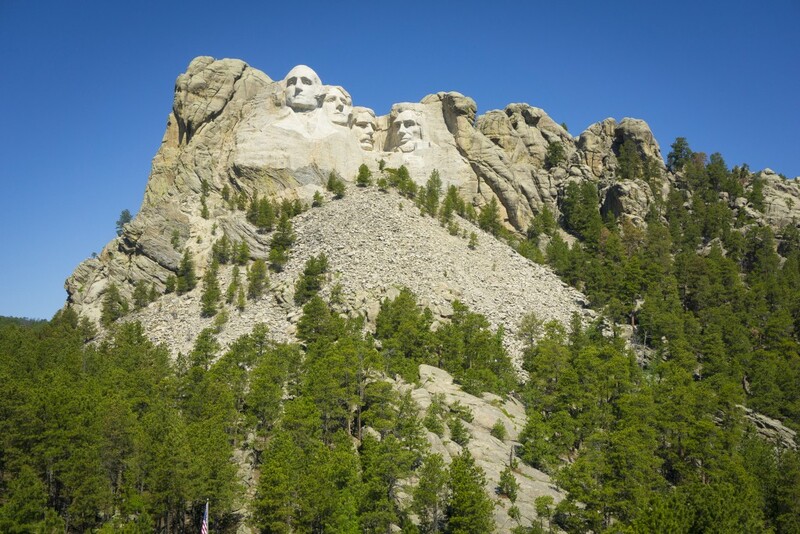 Apparently you could fit the entire Rushmore carving into just the head of Crazy Horse Memorial. 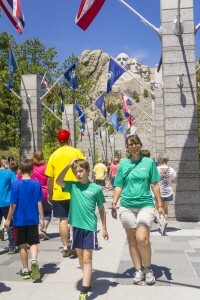 While here we took the time to hike the Presidential Trail which brings you right to the base of the mountain. It also leads you to the Sculptor’s Studio where the artist (Gutzon Borglum) refined his scale model and plans for the work. Here you could also find some history of the memorial including the fact that the sculptor originally planned a secret storage room/vault inside the mountain carving. His vision was that important historical American documents would be secretly and securely stored there. In the visitor center we found history of both the memorial and our country. The safety standards in place for workers on the mountain during construction were flat out frightening. At the same time, the techniques used to translate a scale model to a full size mountaintop carving were amazing. We enjoyed our lunch in the cafe which offered a full windowed wall and the memorial as your view. The food was average at best but the view was spectacular. Overall it was a great day at an American landmark not to be missed. 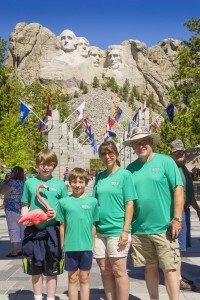 This entry was posted in Destinations, Mount Rushmore, North, South Dakota and tagged Mount Rushmore, National Memorial, South Dakota. Bookmark the permalink. 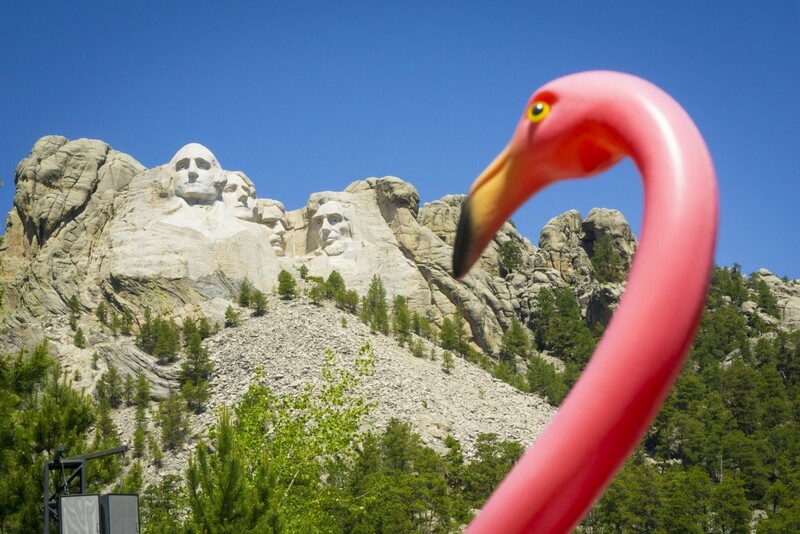 Mount Rushmore and the Black Hills are dear to me, since I was born and raised in South Dakota. I am so happy it was a stop on your tour. One day I would love to see Crazy Horse as it did not exist then. Rushmore’s construction was indeed frightening. Like the other states, South Dakota offers its own unique bounty to enjoy! Thank you for sharing, Gary!